Join a market leader in developing software solutions for school districts across the country. Inc. 5000 2017: Transfinder awarded eleven consecutive years by Inc. magazine as a fastest-growing private company in America. Transfinder Corporation is growing and expanding in the Capital Region. Transfinder is continually recruiting professionals in software development, sales, and customer relations. We are seeking top performing professionals with a love of technology, strong work ethic, excellent interpersonal and teambuilding skills, and a commitment to customer quality service. Don't overlook upstate New York as a great place to build a career. Take a quick tour of upstate New York's Tech Valley/Capital Region and see why it is the perfect place for young professionals on the move to live, work and play. And if you're looking upstate, don't miss out on what's going on in Schenectady. Albany-Schenectady-Troy made Forbes' Annual List of America's Best Cities for Young Professionals for 2017. 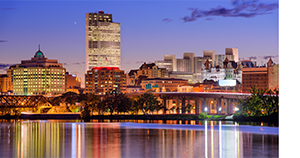 The Capital Region is the home to Transfinder and many of our employees. There are many reasons why young professionals from all over the US are finding great careers and calling our region of New York home. Check out Transfinder as one of those career opportunities, and learn more about our region. 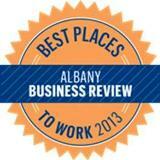 Click here for information on the Capital Region. 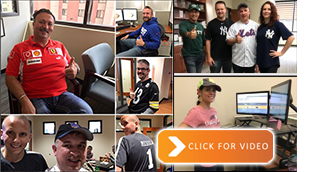 We've got a lot of Team Spirit at Transfinder. Click here for montage of pictures from our recent Team Spirit Day. Submit your resume today for immediate consideration. The Business Development Intern will work closely with the Sales and Marketing departments to generate and qualify leads from targeted accounts. The intern will develop a “customer service” focus that will enable him or her to identify a customer’s needs to provide a superior customer experience. The successful candidate will be highly motivated, enthusiastic and professional. He or she will be eager to learn and be able to adapt to a fast-paced environment. In addition, the candidate will develop superior communication and listening skills, work cooperatively across teams and contribute to the growth and success of the company and its clients. As the leading software provider for Transportation Management Systems, Transfinder is seeking enthusiastic, career-minded and motivated students to join the team as interns. The prime candidates for these paid internships will be students who love problem solving, are highly analytical, and are looking to develop their professional skill set in preparation for graduation and beyond. Interns will work closely with Data Specialists, Project Managers, Engineers, Applications Specialists, and Support Services team members. Individuals will have the opportunity to learn and work alongside seasoned professionals and learn what it takes to be part of a growing software company. As the leading software provider for Transportation Management Systems, Transfinder is seeking an enthusiastic, career-minded and motivated student to join the team as an intern. The prime candidate for this paid internship will be someone who loves problem solving, has an analytical mind, and is looking to develop their professional skill set in preparation for graduation and beyond. The intern will report directly to the Director of Support Services and will work closely with a wide range of departments and teams. This individual will have the opportunity to learn and work alongside seasoned professionals and learn what it takes to be part of a growing software company. Interns will work closely with a range of development team members and other departments. These individuals will get the opportunity to learn and work alongside seasoned professionals and learn what it takes to be part of a growing software company. As a member of the Support Team in the Client Services Department, the Software Support Specialist assists clients in the use of company software and troubleshoots technical issues that result through the installation, implementation and use of that software. They also assist internal clients with software and hardware-related questions and issues. The right candidate has a strong client-centric focus, strives to provide a superior client experience and possesses an aptitude for learning new software applications quickly and thoroughly. The Software Support Specialist is a highly technical individual that works cooperatively in a team environment, and contributes to the growth and success of their clients, their peers, their department, and the company. Promote an atmosphere that encourages collaboration, optimism and dedication. Answers and documents client calls from a phone queue through CRM and ticket tracking software. Communicates with clients while tracking progress on client issues. Resolves issues efficiently and effectively or determines escalation path when necessary. Researches issues of varying complexity while working to resolve them and communicate progress with the client. Installs and upgrades software on client workstations and servers. Assists and/or participates in the training of external and internal clients in an online or onsite training environment, including but not limited to conferences. Develops product and troubleshooting documentation to expand team and company knowledge. Suggests, analyzes, and implements processes, and/or suggests improvements. 2+ years experience supporting software products. Ability to independently research problems/questions and find answers. Ability to be flexible and adapt to complex situations and varying personalities. Ability to type quickly and accurately while speaking. As a member of the Support Team in the Client Services Department, the Client Support Coordinator assists the Support Services Team by fielding incoming calls and emails from clients, creating cases in ticket tracking software and assigning to Support Specialists as needed. They also assist clients with basic software-related questions and issues, and make follow-up calls to ensure customer satisfaction. The right candidate has a strong customer-centric focus, strives to provide a superior customer experience, possesses an aptitude for learning new software applications quickly and thoroughly, is calm under pressure, and thrives in a fast-changing environment. Answers and documents client calls from a phone queue. Creates and prioritizes tickets in CRM software providing detailed information issues to facilitate a timely resolution. Transfers incoming calls to team members based on the technical difficulty of the call, as well as the team member’s availability, technical acumen, and their familiarity with the client and/or issue. Communicates with clients while tracking progress on issues, ensuring that team members resolve issues in a timely manner. During off-peak hours, assists in low-level technical tasks and client requests. Assists in monitoring the company’s hosted solutions to ensure they are running optimally. Engages in outbound calls to ensure customer satisfaction with completed support tickets. Manages work queue and learns escalation process in order to escalate calls/issues as necessary. Regularly and reliably monitors the team email account to ensure all email tickets requests are assigned and completed. Assists the Client Support Manager in any and all clerical (reports, etc.) and technology-based requests as necessary to support team peers as well as the department director. Acts as strong customer advocate. Excellent customer service attitude, communication skills (written and verbal), and interpersonal skills. 2+ years experience in a customer service environment. Types quickly and accurately while speaking. Documents work in timely and efficient manner. As a member of the Training team in the Client Services Department, the Applications Specialist works closely with new and existing clients, providing customized and detailed training across all Transfinder products. They work closely with Client Project Managers, Client Relations and Support Services teams, collaborating on projects and providing status of open projects. Work with Client Project Manager to customize a training plan to suit the needs of clients at various skill levels, and ensure that the training plan is meeting the client’s needs and goals. Conduct one on one training sessions remotely, via web-based meeting applications, on all aspects of software. Lead training webinars available to all current clients. Teach multi-day Transfinder University classes to all levels of users. Travel to client locations for on-site group training. Lead training seminars during Transfinder’s Annual Client Summit. Maintain clear, complete, and accurate documentation related to all training activities including tracking time spent on client and department-related activities in a CRM. Collaborate with other training team members to develop new and updated training materials. Contribute to the growth of the department and the company by participating in special projects. Contribute to the development of course materials for Transfinder University. Triage client software issues and troubleshoot or escalate as necessary. 4+ years’ experience in a related field, such as software implementation, technical training, or software support. Training experience, preferably with software through web-based applications. Outstanding interpersonal skills, with a commitment to exceptional customer service. A talent for working in a team environment while contributing creative ideas. Ability to learn new software and procedures quickly and independently. Experience with Microsoft Office Suite and CRM software. Do you get excited about developing software to solve problems? Do you have a desire to see your work provide safe transportation to hundreds of thousands of students across the nation, and globe? Do you want to help come up with new ideas to analyze and collect data to optimize resources used by school systems? Do you find yourself writing code on your own to learn new technologies and solve your own issues? Come join our team and help shape the future! We have a dynamic development environment with opportunities at all levels to provide input on design and architecture. As a member of our development team you will have the opportunity to develop applications that range in technology from desktop applications performing complex data collection, analysis, mapping and routing algorithms; web based HTML5 applications in dynamic scaling environments using cloud technology; and mobile applications. The Software Developer will have responsibility to code software applications to adhere to designs supporting internal business requirements or those of external customers. This individual will work closely with quality assurance to ensure that all quality assurance procedures are followed as an integral part of the software development life cycle. Develop new features and support existing features in Visual Basic (preferred) or C# .NET, Silverlight, XAML, and web services (RESTful and/or SOAP). Support of legacy code in Visual Basic 6 may be required. Code, test, debug, implement, and document highly complex programs. Gathers information from existing systems, analyzes program and time requirements. Assists Development Manager in preparing time estimates and justification for assigned tasks. Supports Transfinder personnel in resolving fairly complex program problems. Works with client and management to resolve issues and validate programming requirements within their areas of responsibility. Provides technical advice on complex programming. Are you creative, excited by emerging technologies and exploring new ideas on multiple platforms? This unique role requires you to write, test and deploy code quickly! You must be flexible and self-guided - with an ability and willingness to change course, design or technology as needed as this position does not follow the standard SDLC. In this position, you will be asked to “see what’s possible” while creating proof of concepts and demos. You will report directly to the Director of Software Development while working closely with a number of different teams and people exploring new ideas. This role provides the opportunity to research new technologies or solutions along with the new products. Transfinder is a leading software provider for Transportation Management Systems seeking an enthusiastic and motivated Scrum Master to join our growing team. They will report directly to the Director of Software Development while working closely with the development teams and Product Owners. The Scrum Master will be responsible for working with the teams to prioritize, estimate and plan work. They will facilitate daily scrum meetings in addition to refinement, planning and review meetings. Transfinder, a leading software provider for Transportation Management Systems, is seeking an enthusiastic and motivated UI/UX Designer to join our growing team. This individual will work closely with the development teams, Scrum Masters, Technology Management and internal stakeholders. As the Product Owner, the UI/UX Designer will be responsible for designing new features and products and prioritizing items within the backlog, sprints and releases. They will participate in refinement, planning and review meetings as well as other design focused meetings. They are responsible for requirements gathering and responding to internal and external inquiries throughout the development and release lifecycles as the product expert. Transfinder, a national leader in student transportation solutions for school districts throughout the United States and Canada, is seeking highly motivated sales professionals with a track record of exceeding personal and corporate goals to join our Sales Consultant Team. The company is in a high-growth phase with expansion plans that make this opportunity very attractive to high performing sales professionals, who want to contribute to our growth. Quarterly compensation plans reward both individual and team performance. Sales Consultants, reporting to the VP, Global Sales are responsible for expanding Transfinder’s market share in the United States and Canada. They are responsible for creating compelling presentations on our products and services tailored to the specific needs of school districts within their assigned geographic area. By demonstrating the value of applying Transfinder products and services to improve efficiencies and reduce costs, they gain the confidence of prospective clients and motivate them to sign on with the company. Travel to prospect sites as requested and give demonstrations of our products and services at conferences in assigned geographic areas. Understanding of public sector and experience with software solutions. Transfinder, a national leader in student transportation solutions for school districts throughout the United States and Canada, is seeking highly motivated individuals to join our Client Relations Team. The company is in a high-growth phase with expansion plans that make this opportunity very attractive to high performing sales professionals, who want to contribute to our growth. Quarterly compensation plans reward both individual and team performance. Client Account Executives, reporting to the VP, Client Relations are responsible for building strong client relations with school districts within their assigned geographic areas; for updating clients on the latest products and services from Transfinder; and for understanding the current and future needs of clients in order to help with company resources and up sell products and services that meet these needs. Act as both an independent contributor and team player in executing plans that lead to excellence in client quality service. Travel to client sites as requested and attend conferences in assigned geographic areas. 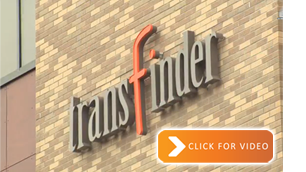 Transfinder, a national leader in transportation management software for school districts in the United States and Canada, is seeking highly motivated individuals familiar with MS Office tools to expand the team. The company is in a high-growth phase with expansion plans that make this opportunity very attractive to high performing sales professionals, who want to contribute to our growth. Quarterly compensation plans reward both individual and team performance. Candidates must have excellent communication and presentation skills and a minimum of 1-3 years of phone sales experience. Software sales experience is a plus.